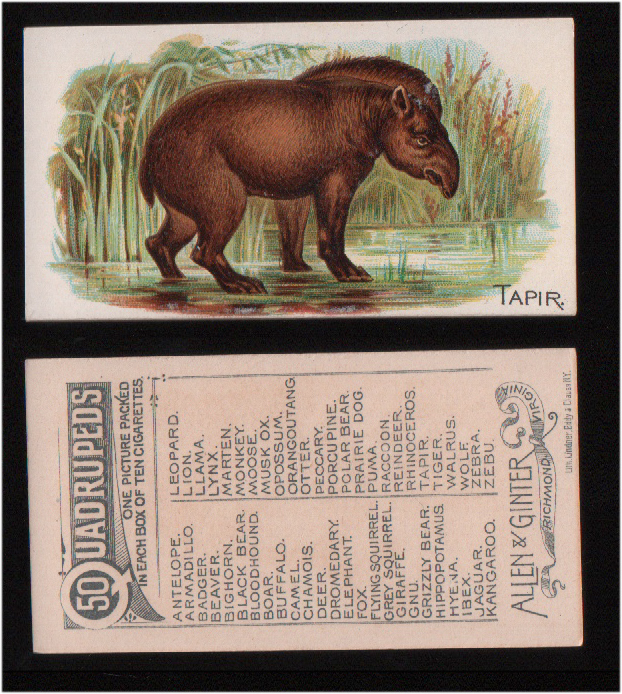 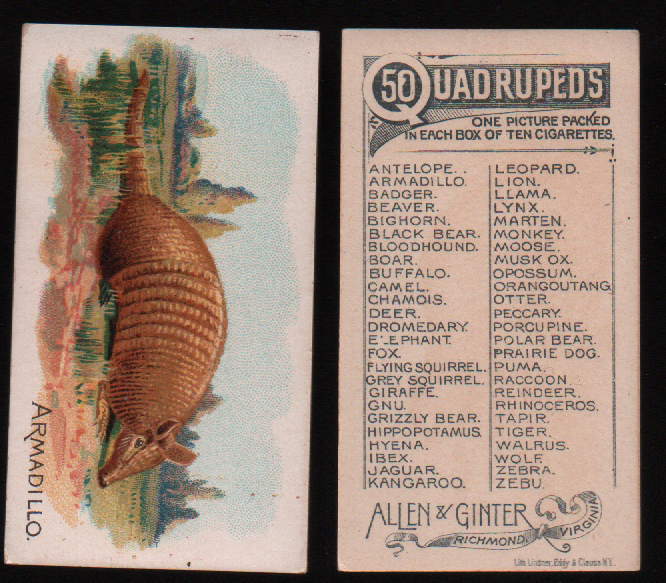 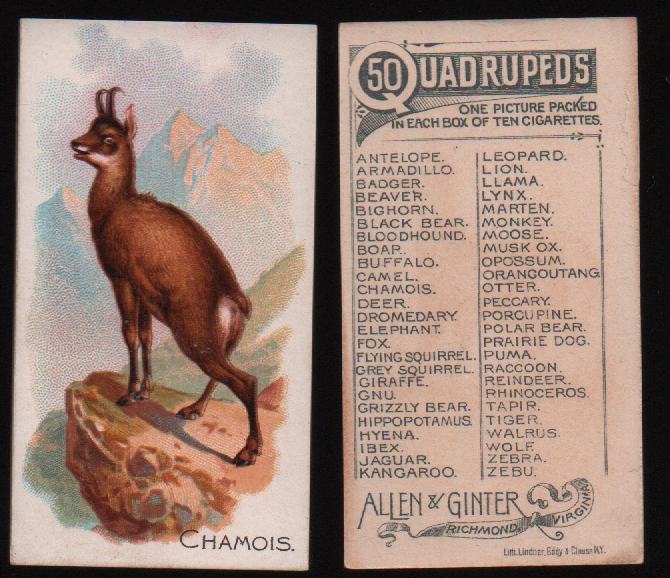 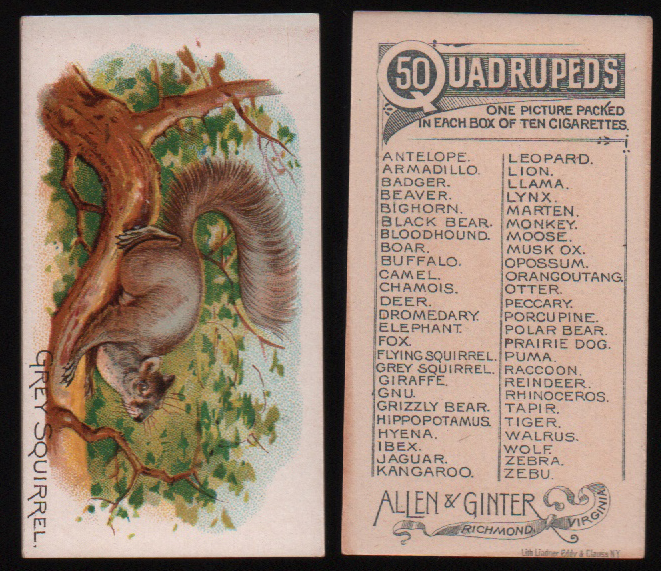 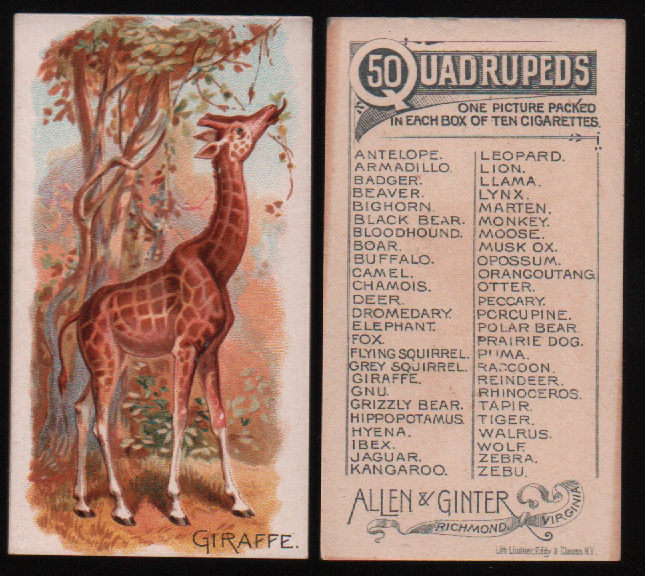 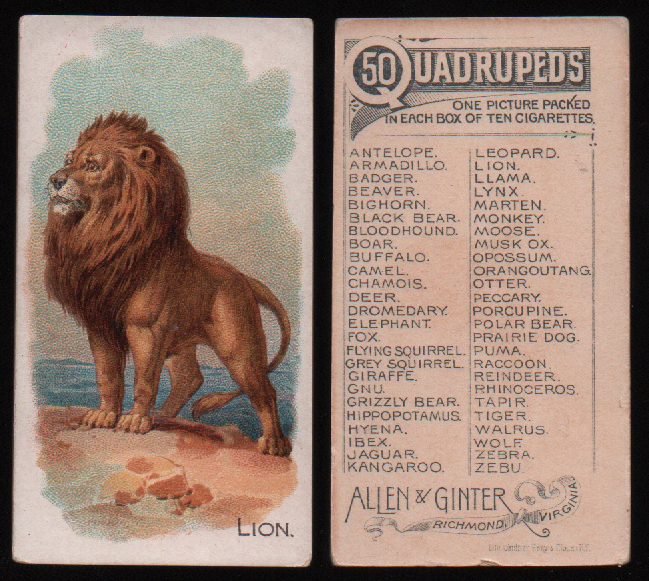 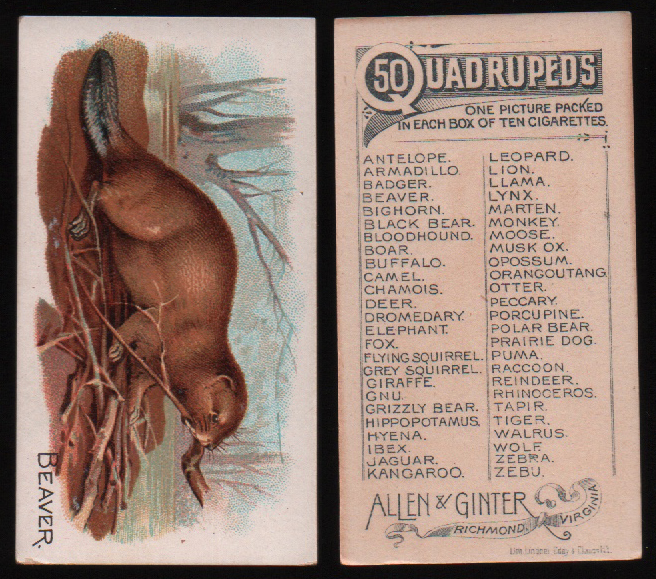 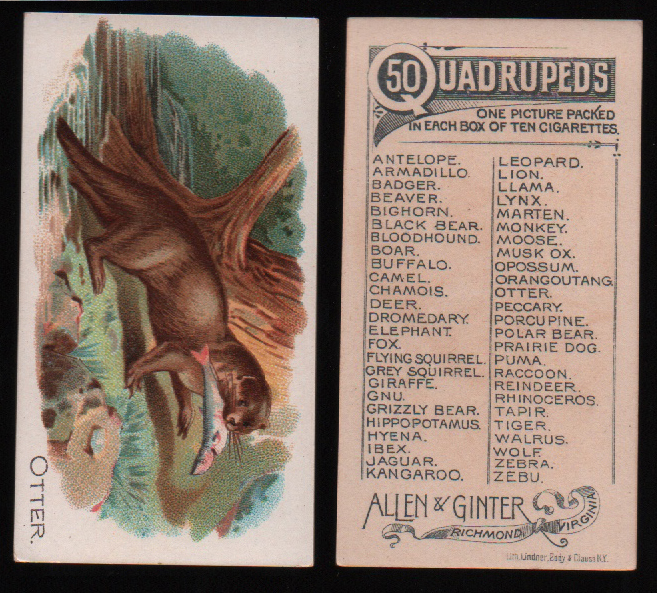 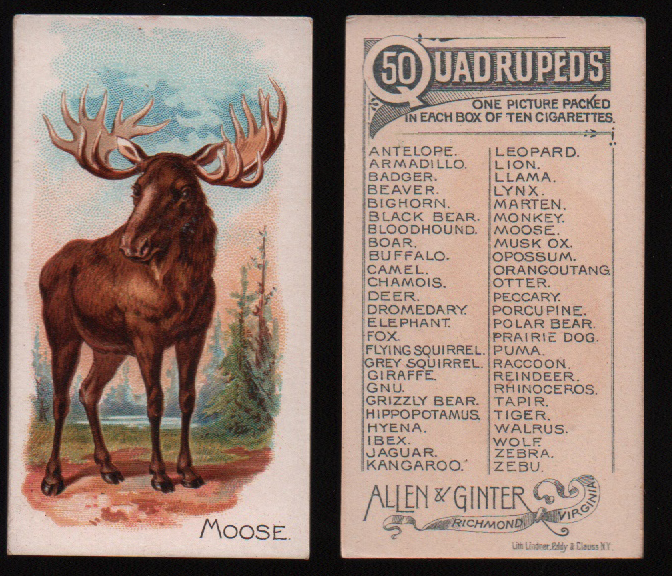 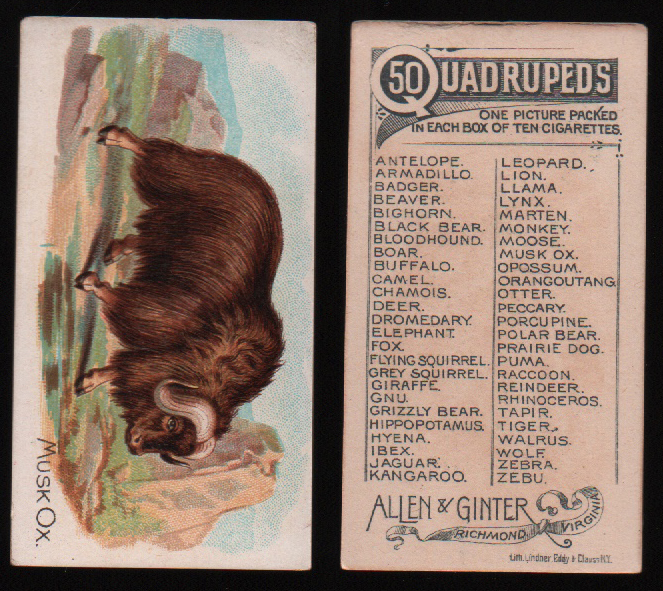 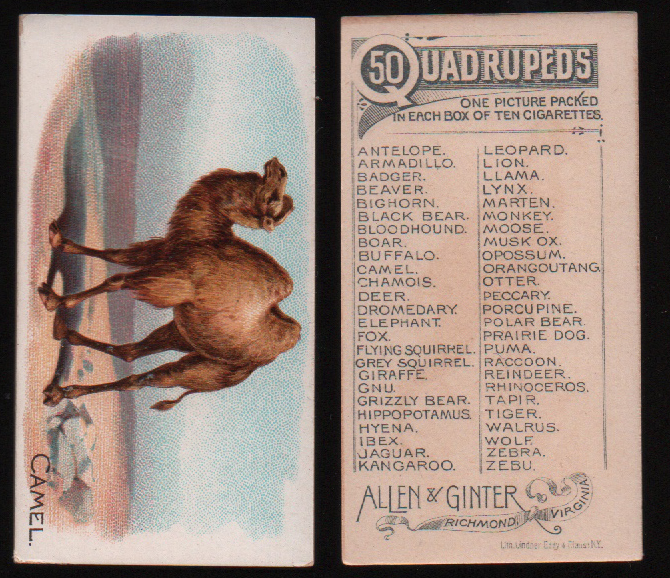 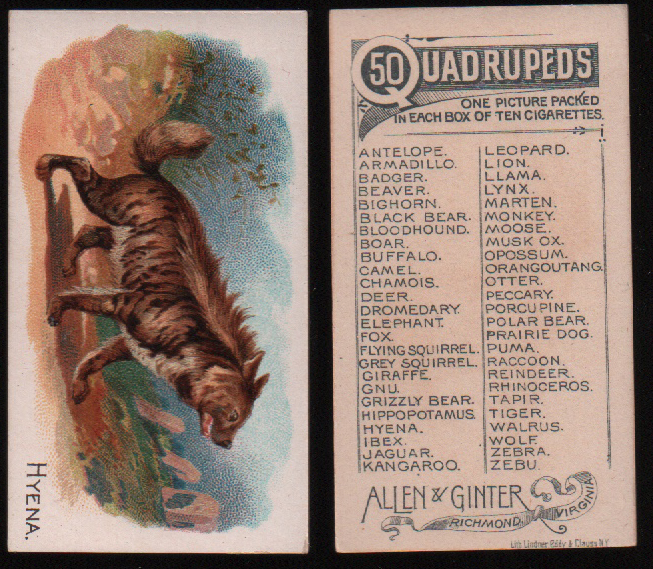 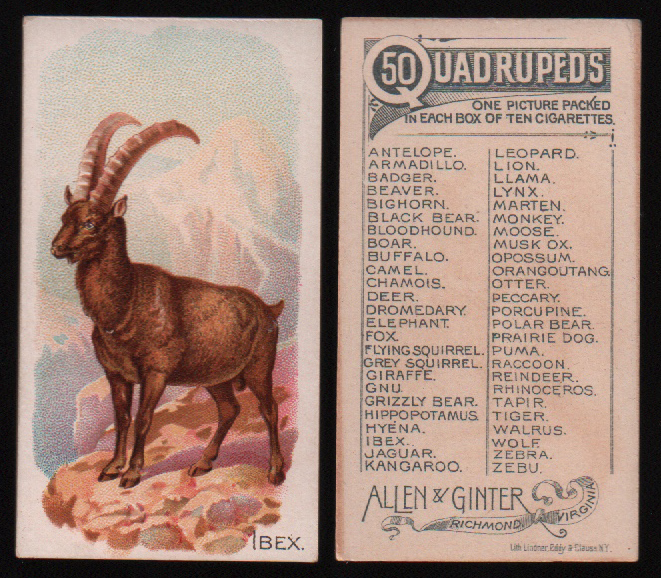 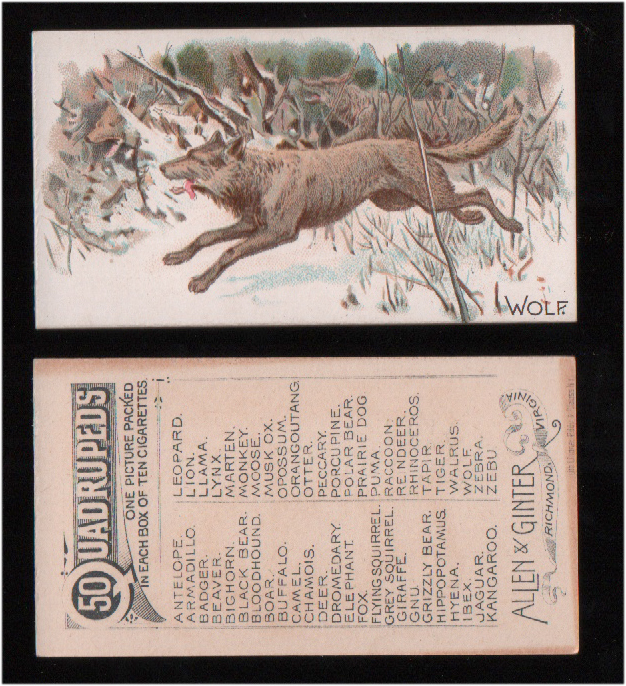 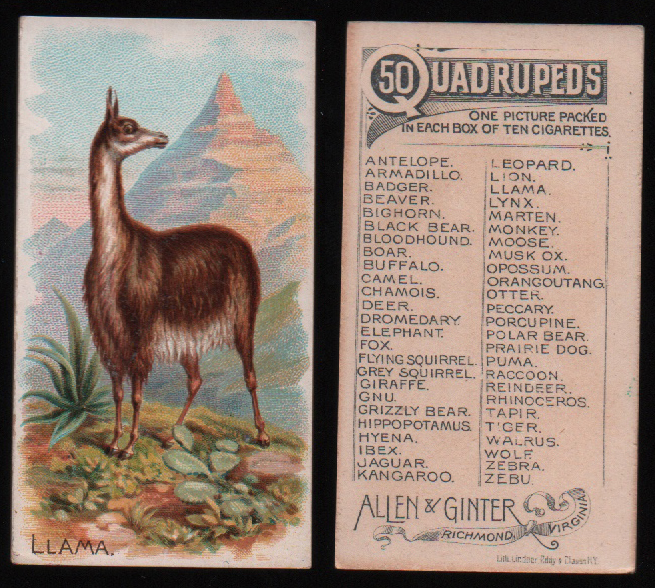 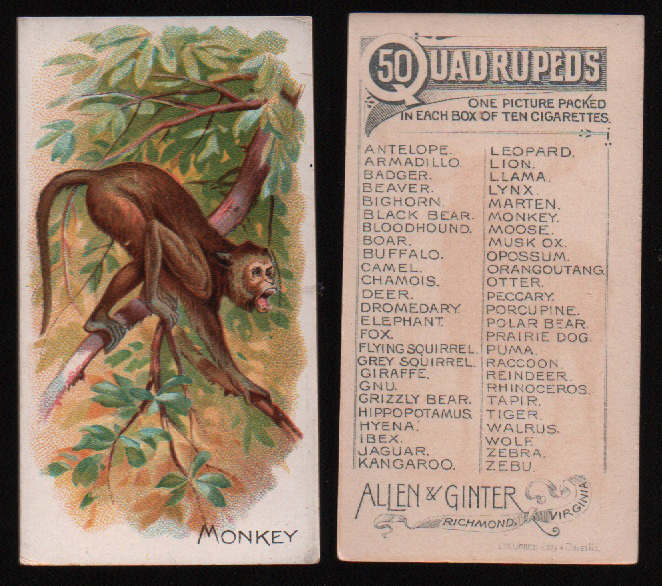 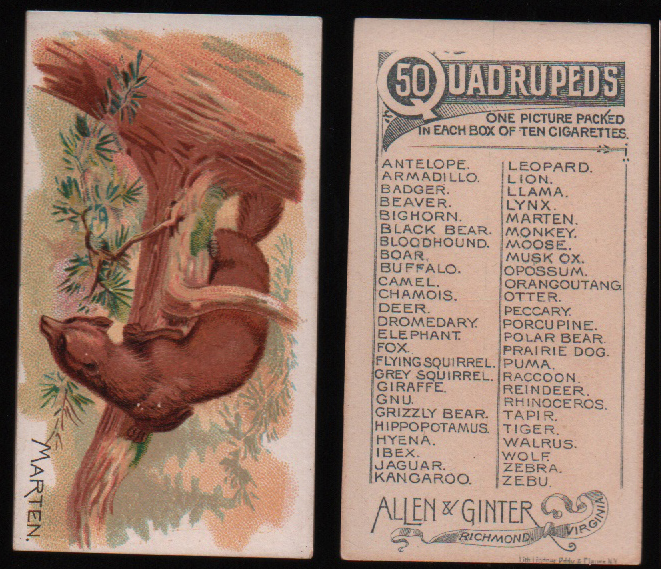 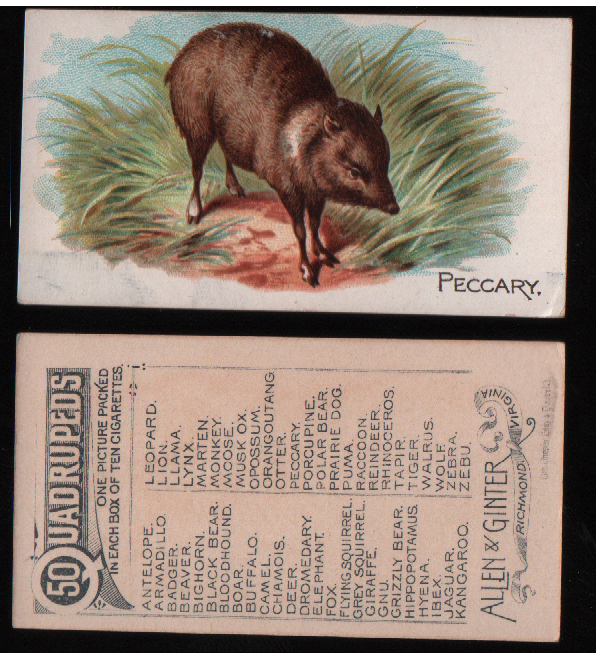 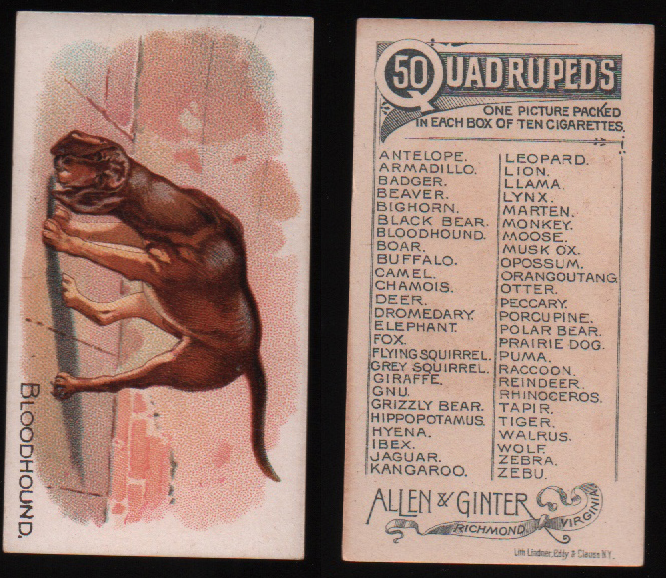 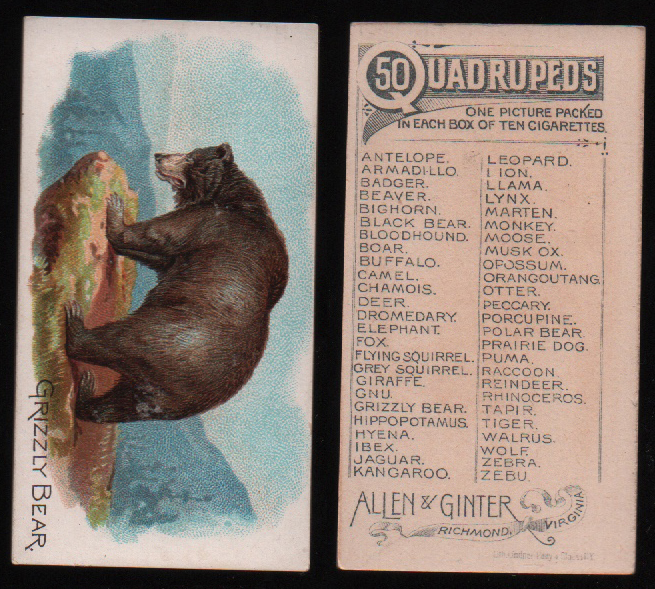 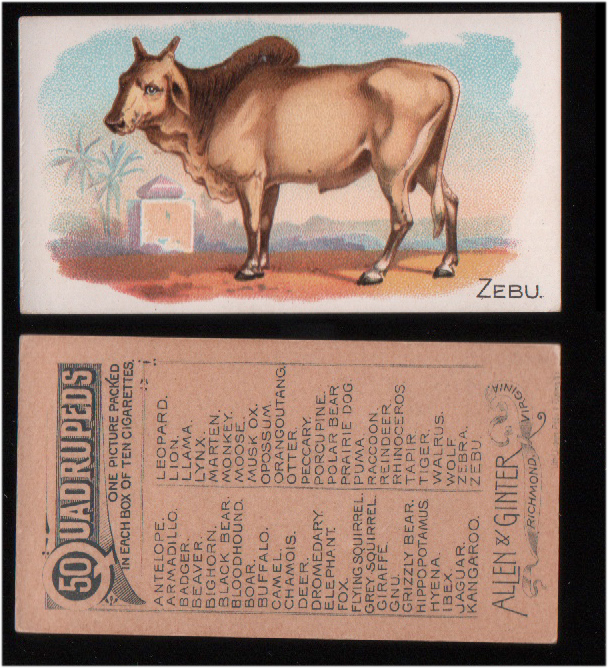 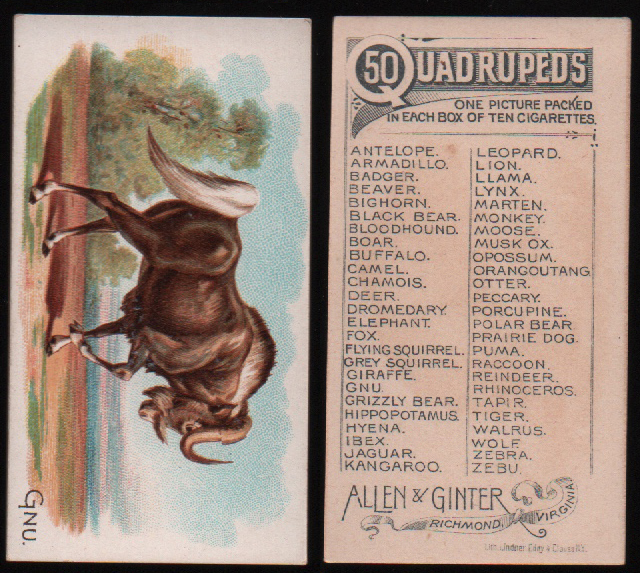 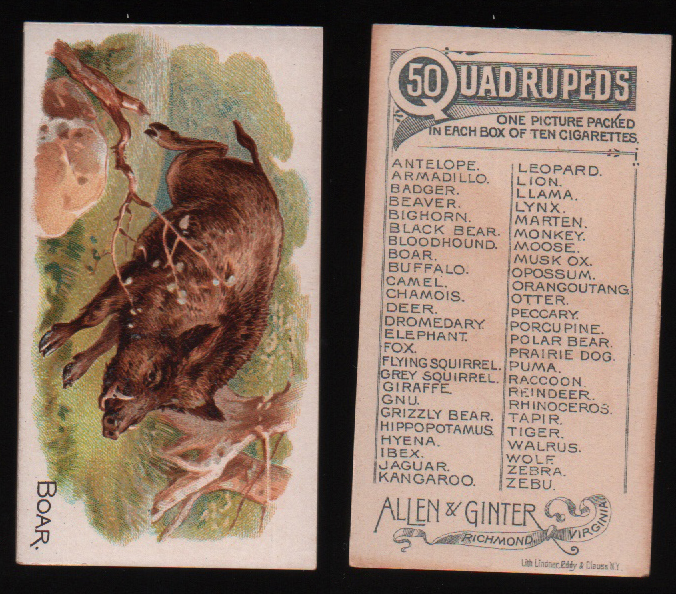 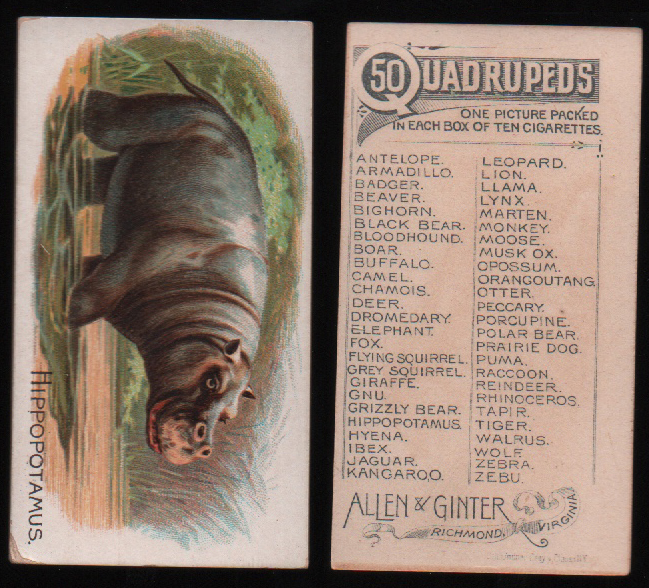 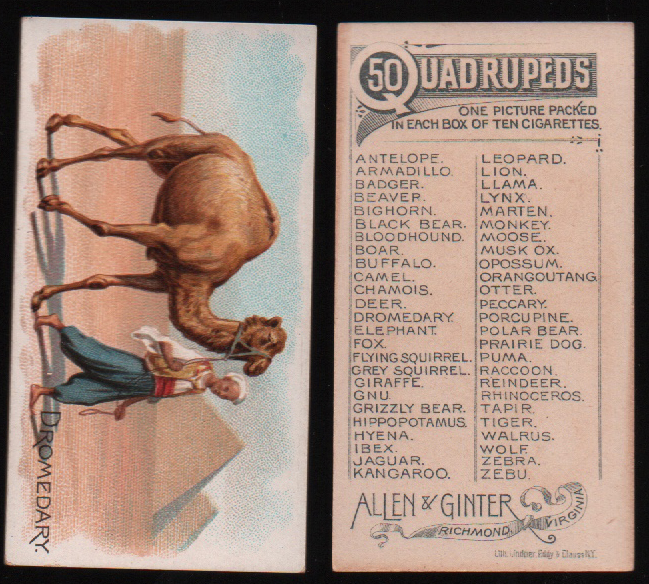 Allen & Ginters, N21 Quadrupeds. 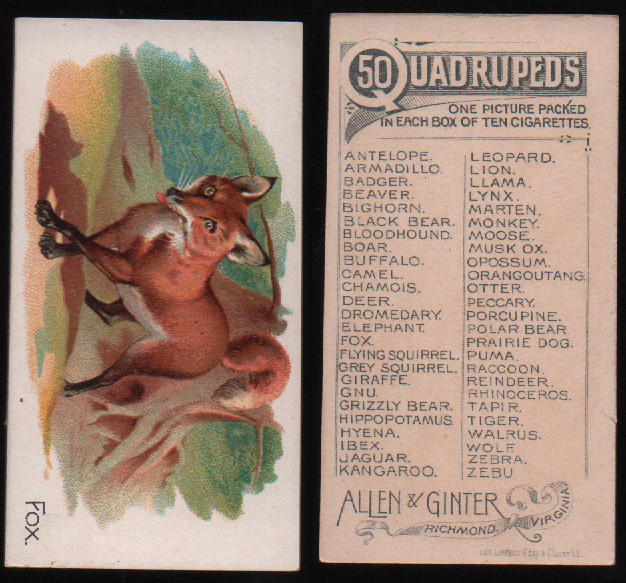 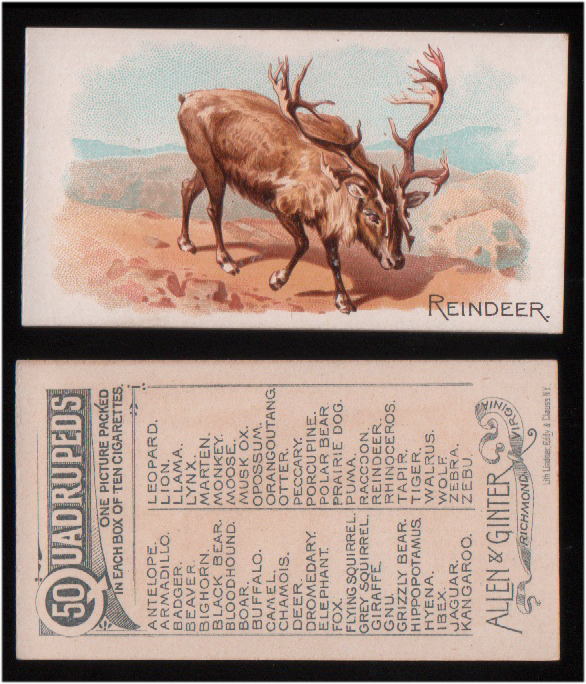 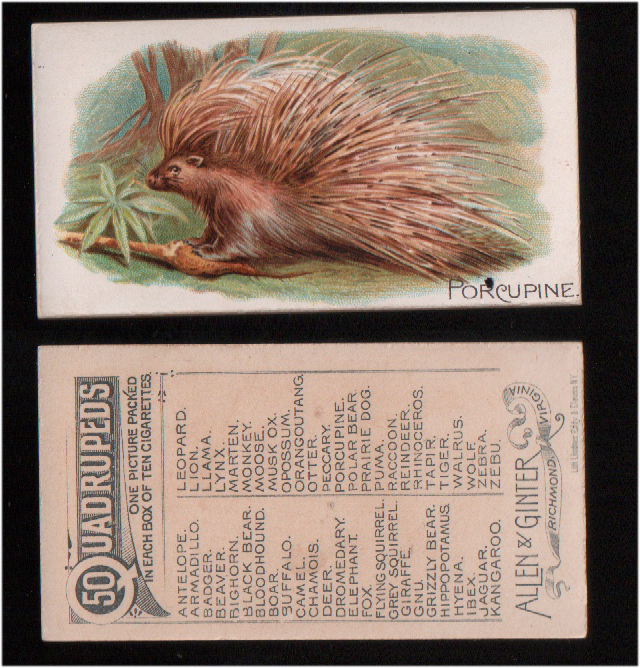 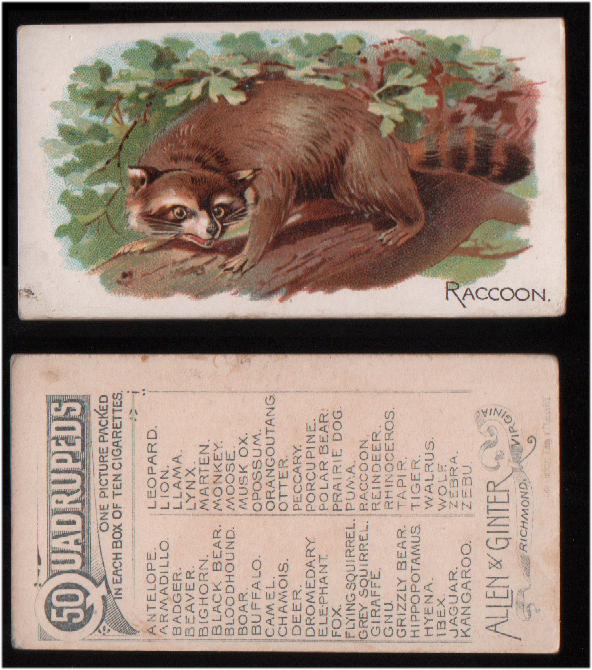 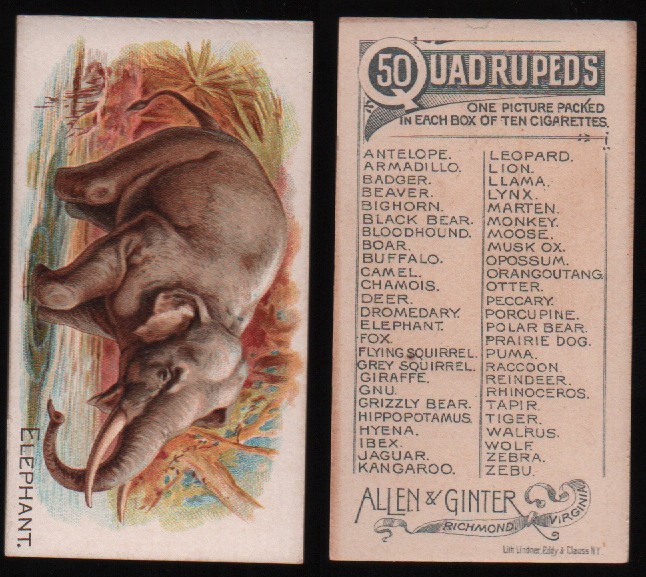 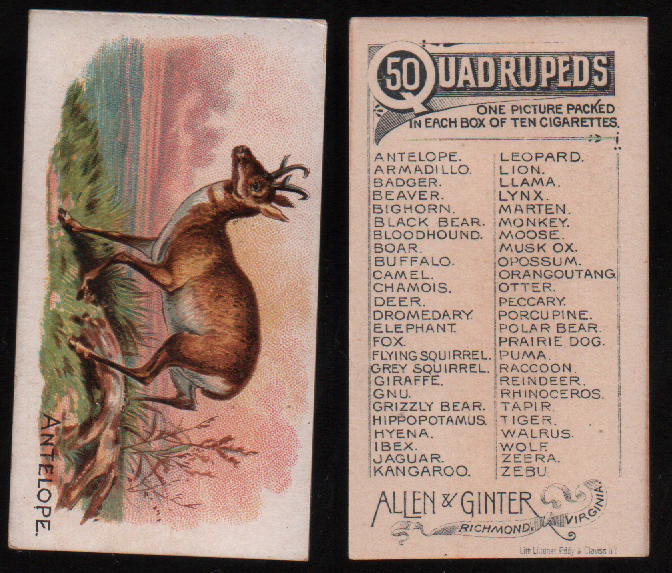 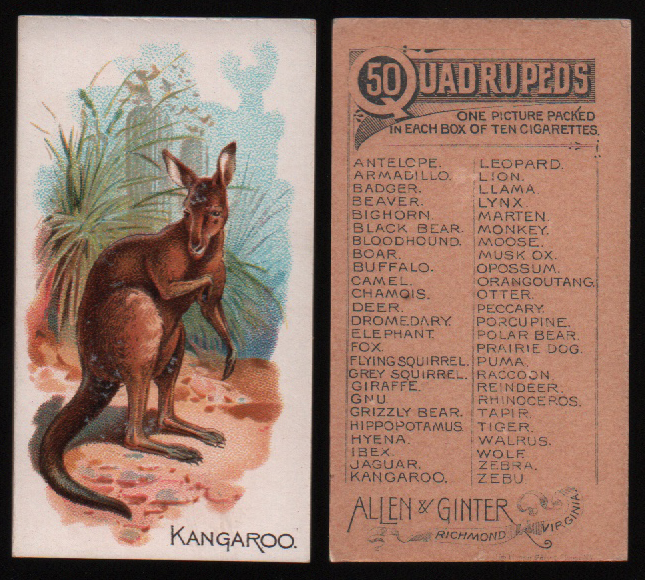 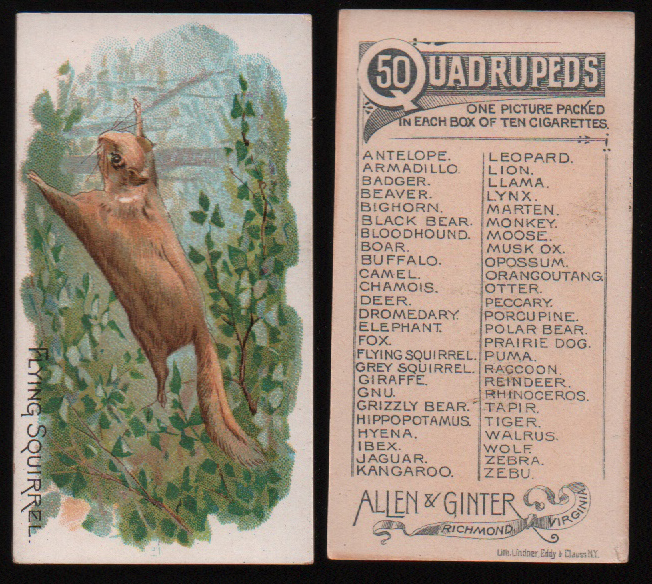 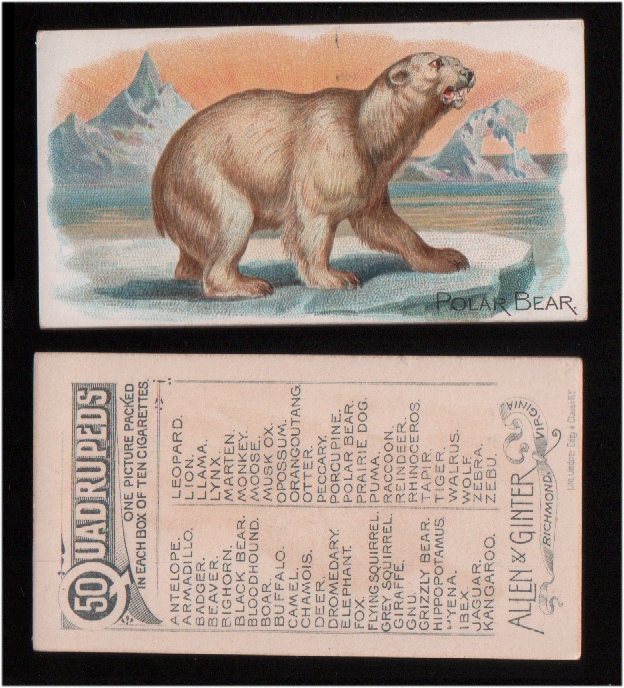 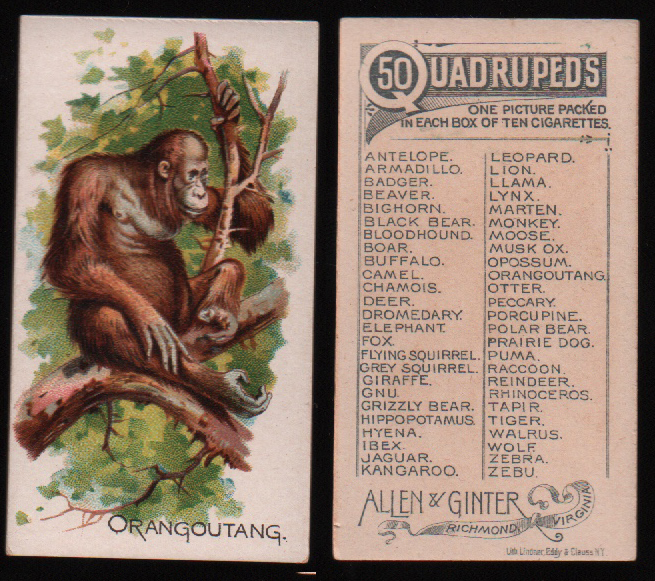 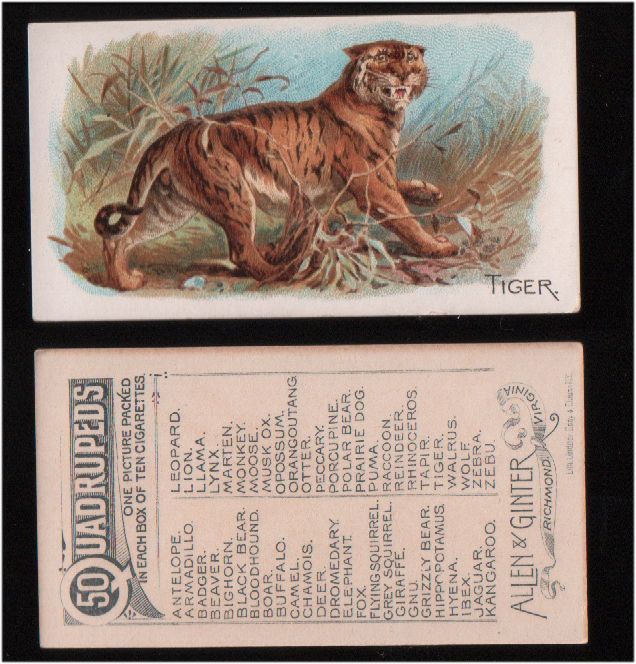 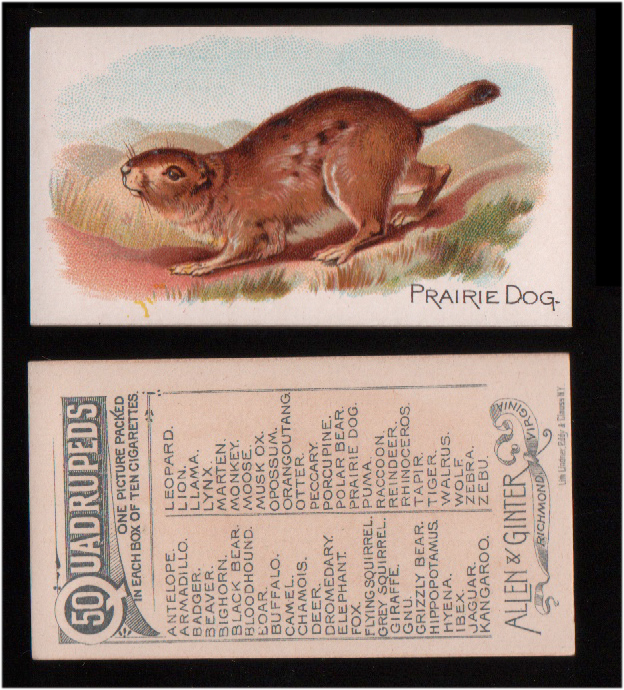 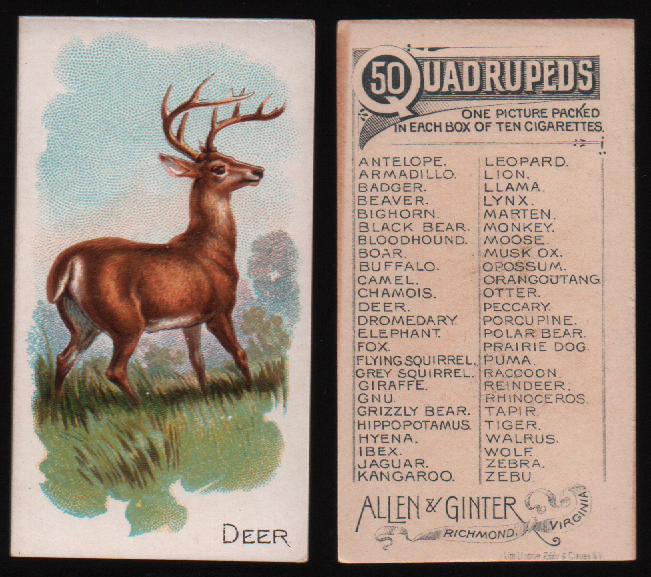 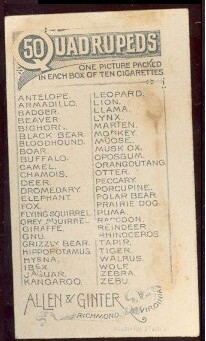 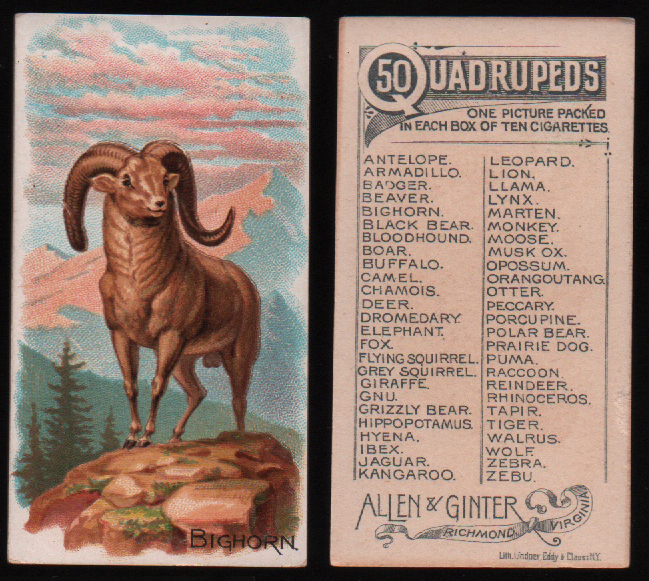 Issued in 1890, The cards measure 1-1/2" X 2-3/4" and there are 50 in the series. 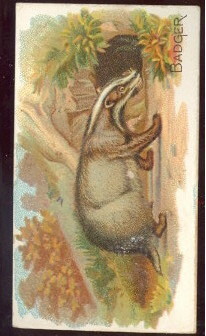 Wild animals are depicted in "action" poses in their natural habitats. 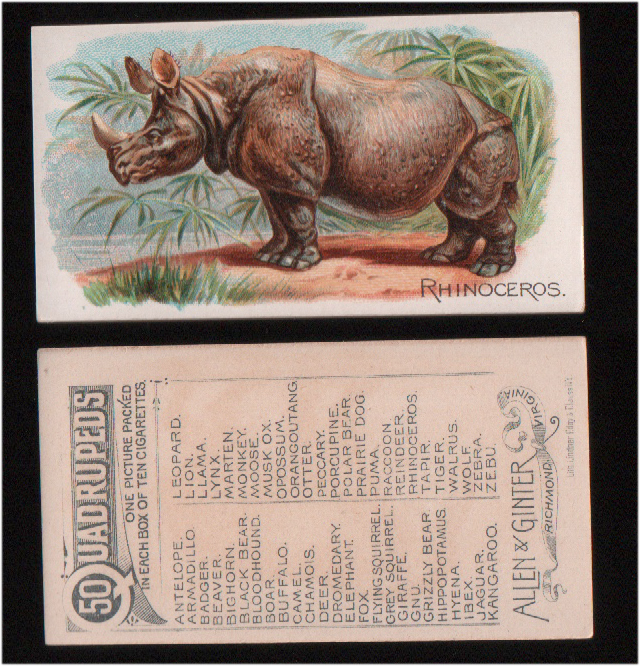 The lithography was done by Lindner, Eddy, & Clauss.